Angelle Adams brings a broad range of civil litigation experience to Mazzarella & Mazzarella, LLP. She is skilled in representing clients in all phases of trial practice as well as various forms of alternative dispute resolution, including arbitration and mediation. Angelle believes that the key to effective and efficient case management is maintaining an astute knowledge of the facts and law; communicating timely with the client; and being prepared. As a result, Angelle frequently achieves a favorable outcome for her clients. Angelle's practice focuses on complex litigation, construction disputes, real estate litigation and probate litigation. Notably, she was a significant team member in the successful defense of Halliburton in connection with all civil litigation and investigations concerning BP's Macondo well (Deepwater Horizon) blowout in the Gulf of Mexico, the largest environmental lawsuit in the history of the United States. Angelle received her Juris Doctor from St. Mary's University, a Master in Education from the University of Houston, and a Bachelor of Science in Communication Sciences and Disorders from the University of Texas at Austin. She has been licensed to practice law in Texas since 2006 and obtained her California bar license in 2018. She is also admitted to practice in the Fifth Circuit Court of Appeals, Western District of Texas, Southern District of Texas, Northern District of Texas and Eastern District of Texas federal courts. 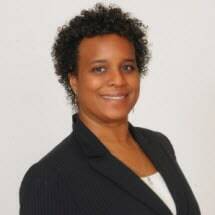 Angelle has served as a board member of several professional organizations including the San Antonio Black Lawyer's Association, Houston Lawyers Association, and the African American Lawyers' Section of the State Bar of Texas. She is also a member of Phi Delta Phi, the American Trial Lawyers Association, and the San Diego County Bar Association. In her free time, Angelle enjoys yoga, volunteer work and participating in a variety of outdoor activities.